According to the Office of Admission, of the approximately 8,726 persons in the class of 2019, the freshman class boasts a female population of 40 percent, compared to the previous classes of 2017 and 2018 with 37.36 and 39 percent female students, respectively. In addition to the diversification of the student body, the significant increase in women has led to increased female involvement throughout campus, most notably in membership within the Collegiate Panhellenic Council (CPC). The collective CPC community consists of seven sororities (Alpha Chi Omega, Alpha Delta Pi, Alpha Gamma Delta, Alpha Phi, Alpha Xi Delta, Phi Mu and Zeta Tau Alpha), as well as two associate member chapters (Alpha Delta Chi and Alpha Omega Epsilon). Compared to the Spring 2015 semester, where the total number of active and new members in sororities was 1,343, the Office of Greek Affairs reports that the Fall 2015 semester had a collective total of 1,540 active and new members. “In 2014, the Council created an exploratory committee, but the community did not feel like we were prepared to take on another Chapter. During Fall 2015 recruitment, our community felt strained when we had a record number of women go through Formal Recruitment,” said Marguerite Bradley, third-year IE, who serves as the Executive Vice President of the CPC and was a representative for Alpha Xi Delta on the exploratory committee. The recruitment data provided by the CPC Exploratory Committee states that the number of women starting rush increased from 436 to 489 between the 2014 and 2015 recruitments. At the open CPC meeting on Nov. 16, the official vote to “open the campus for extension” passed. However, prior to the public vote, there was some cause for concern from some women in the Greek community who feared that the unique character of the current nine sororities could potentially be jeopardized. 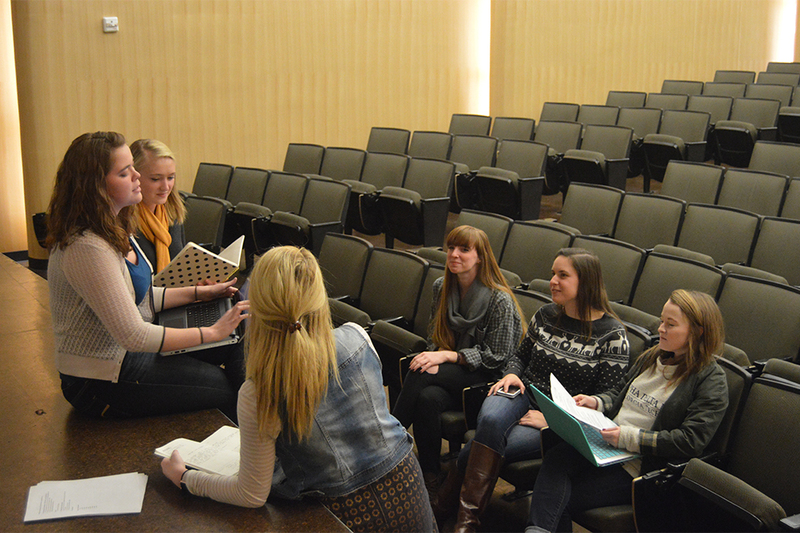 Once approved, several sororities approached the expansion committee over the course of winter break with proposals. “I think the reasons the CPC gave during the open meeting as to why they were looking to add another chapter on campus were truly convincing,” said Meagan Fountain, first-year ME. During the analysis of the exploratory committee’s findings for expansion, the CPC provided data that demonstrated that by 2020, sorority pledge classes could be between 70 to 80 women without the addition of another chapter. “I hope that, with the addition of a new sorority, every girl that wants to be involved in the strong sisterhood can develop her sisters, can have the opportunity to find what she wants,” Osman said. The expansion committee narrowed down the search to three sororities: Kappa Delta, Chi Omega and Kappa Alpha Theta. The three sororities will have presentations Feb. 22–26.